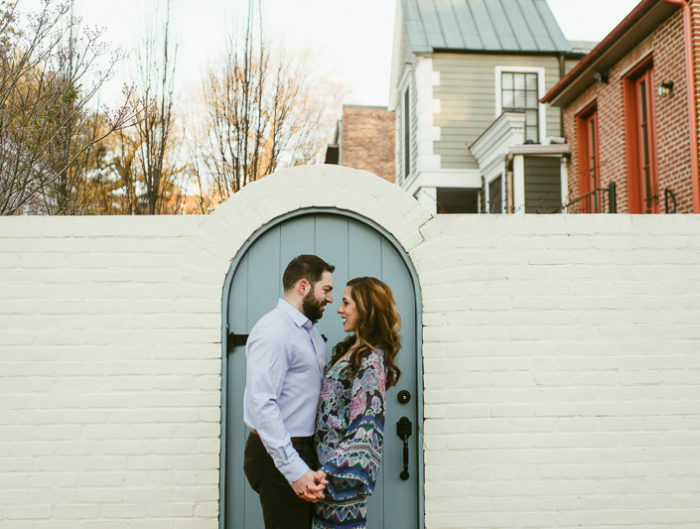 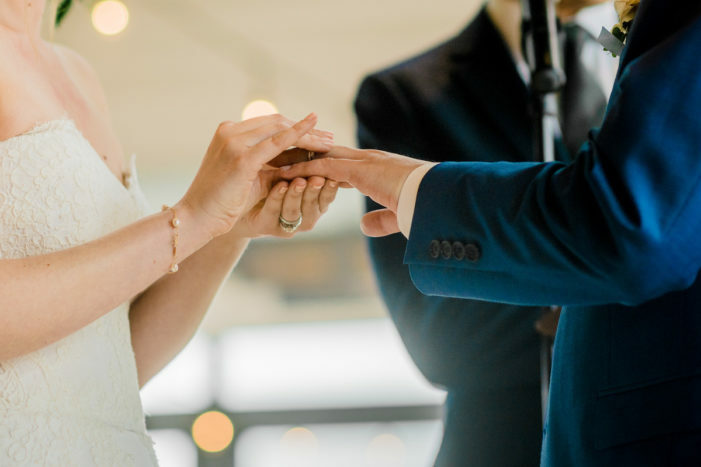 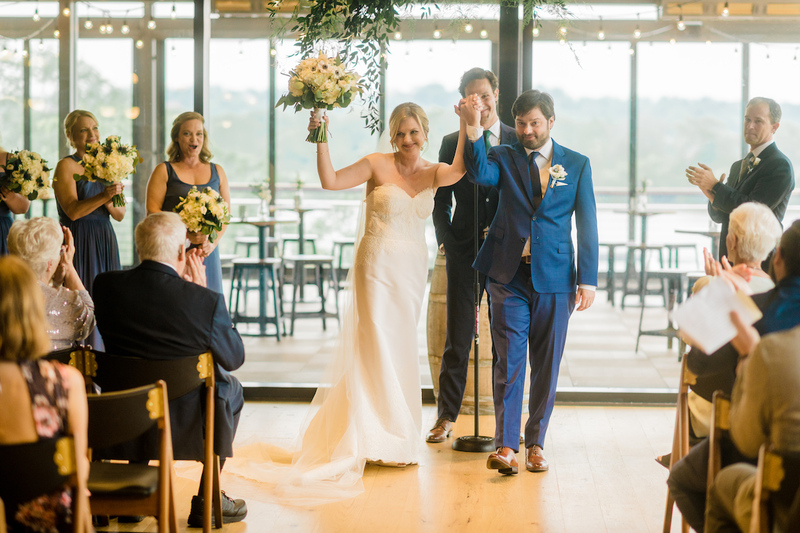 We love how many diverse and unique Washington DC wedding venues have come around in the last few years. 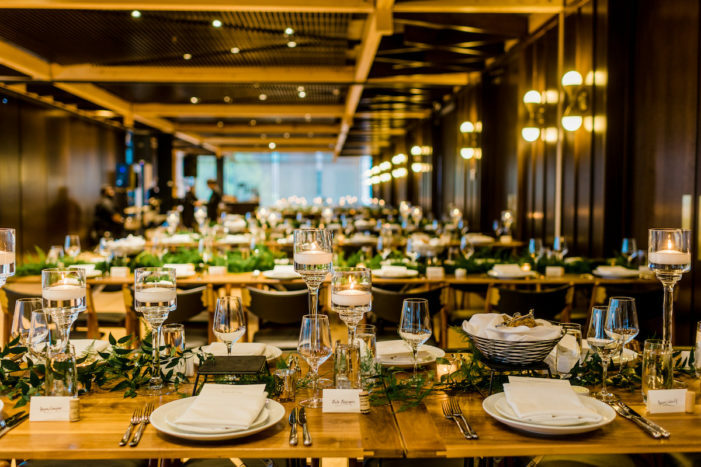 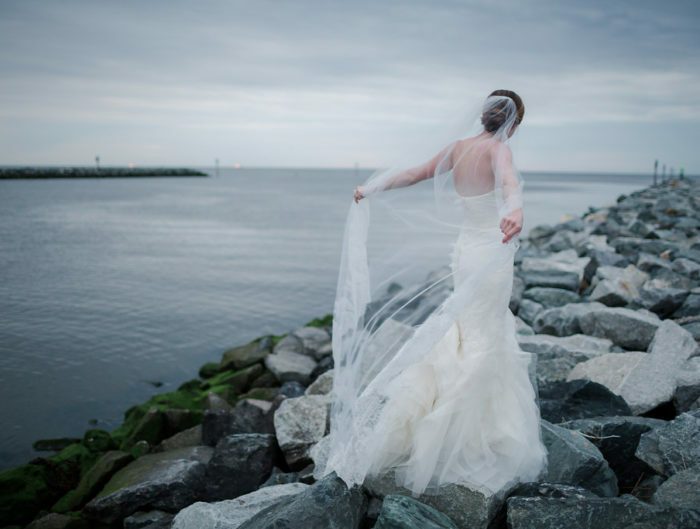 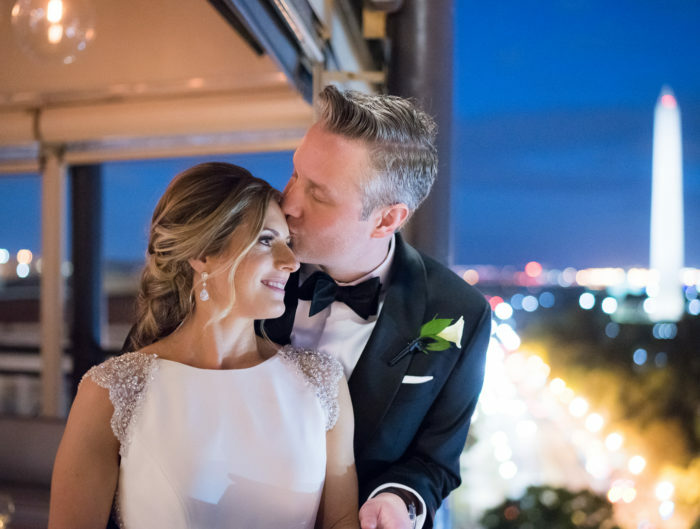 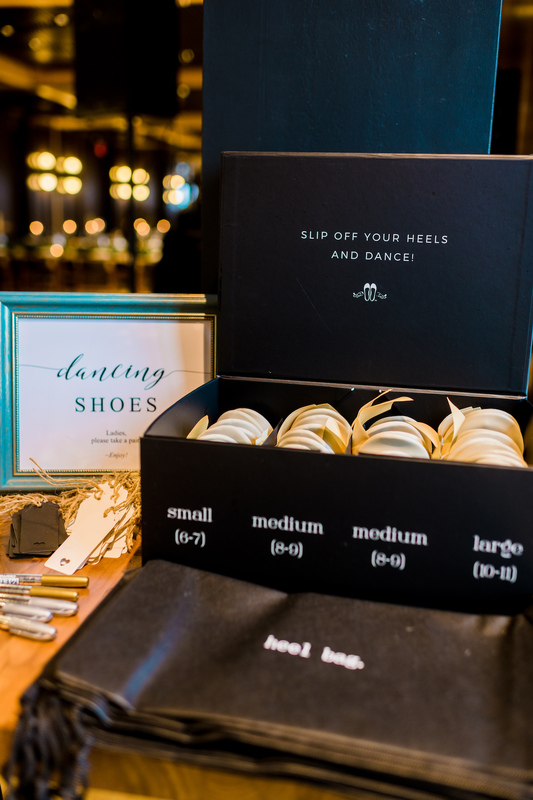 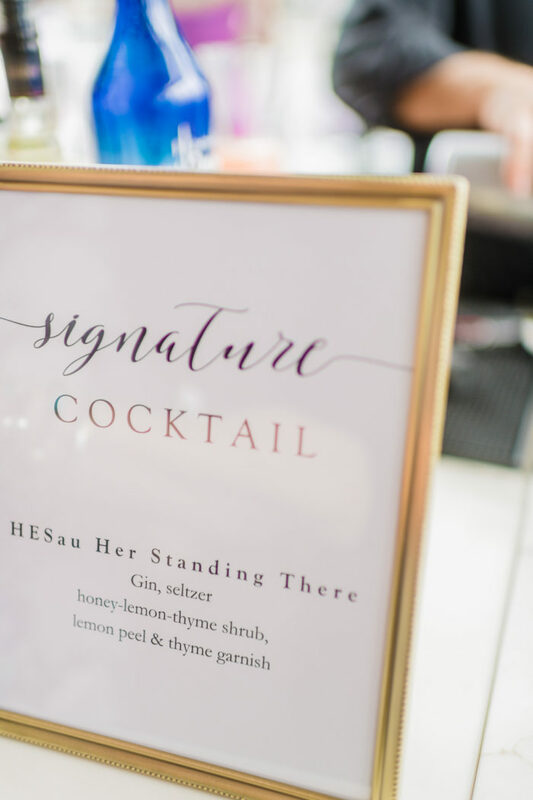 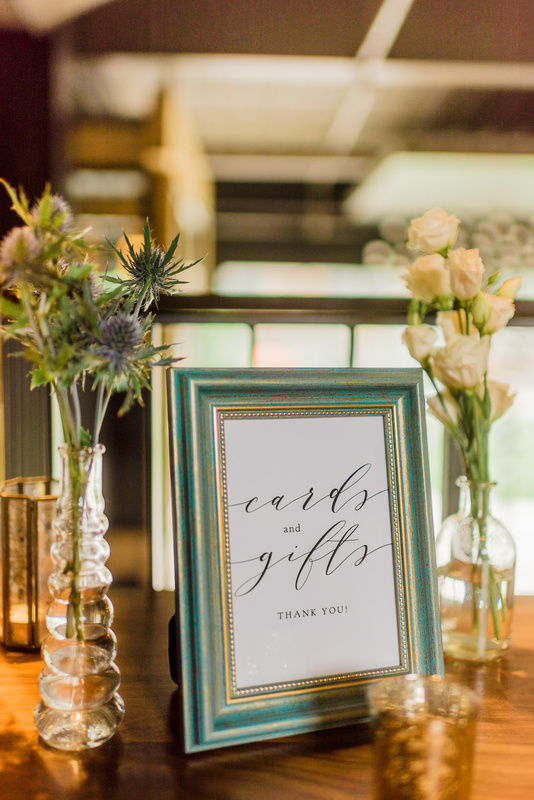 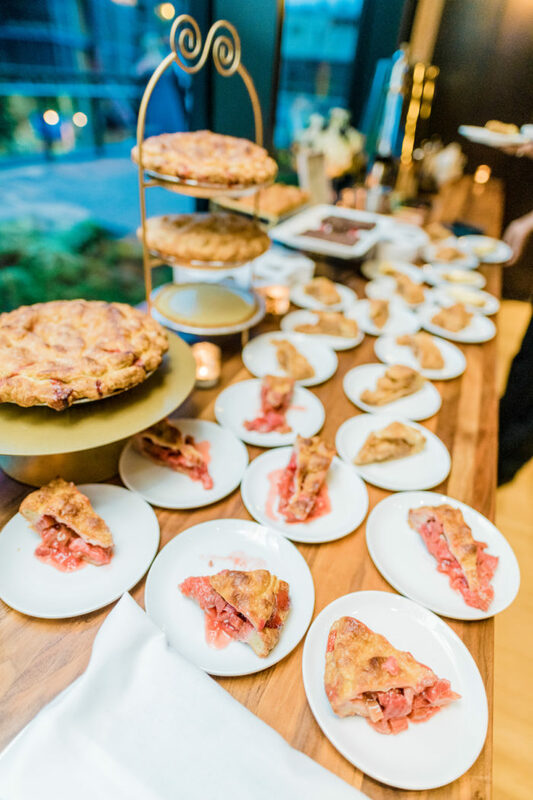 From industrial lofts to mod hotels, there is no shortage of amazing DC wedding reception locations. 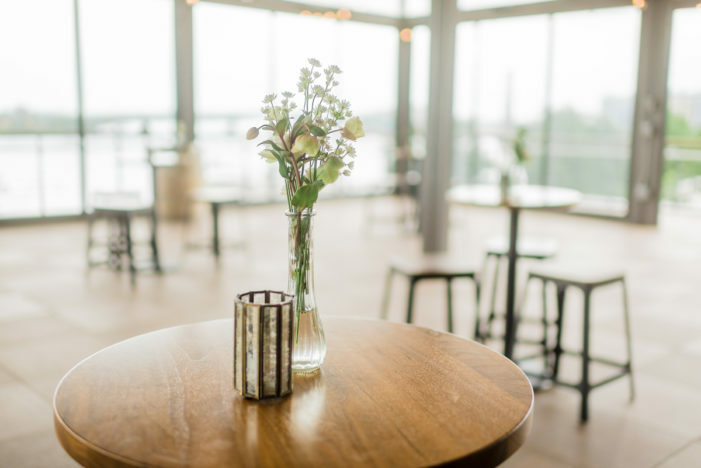 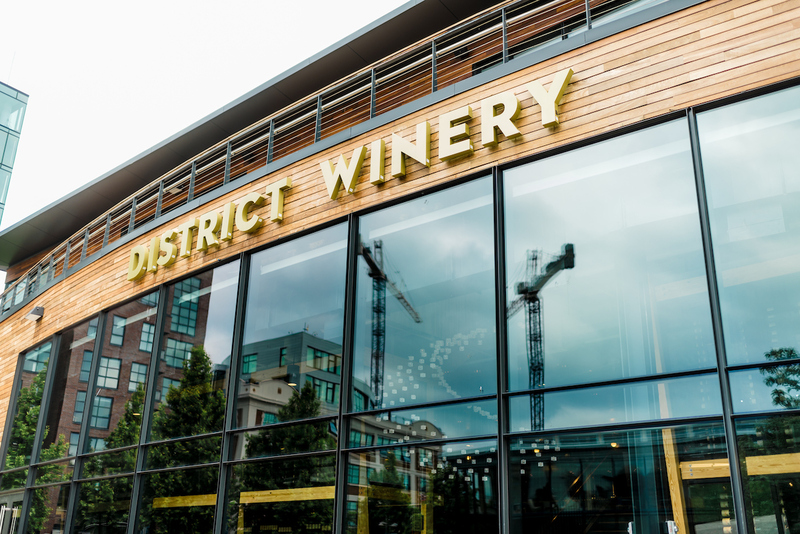 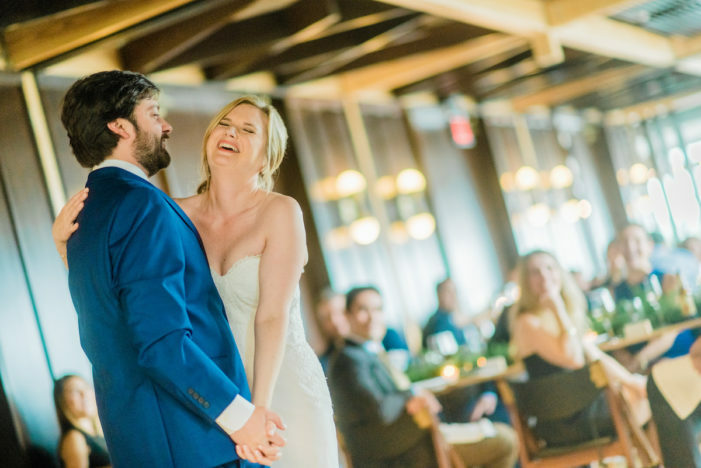 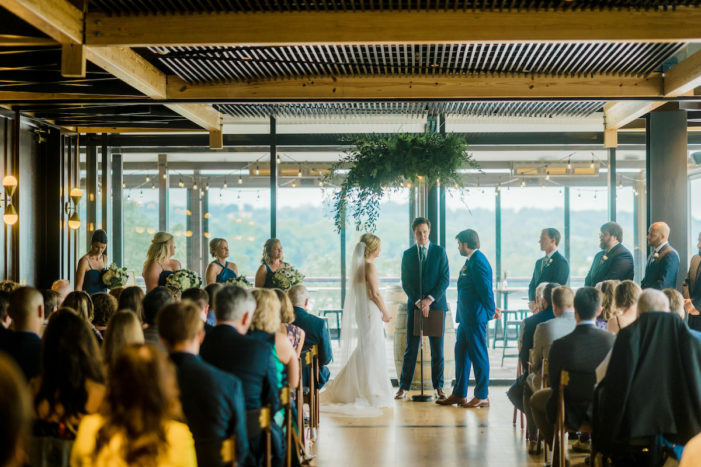 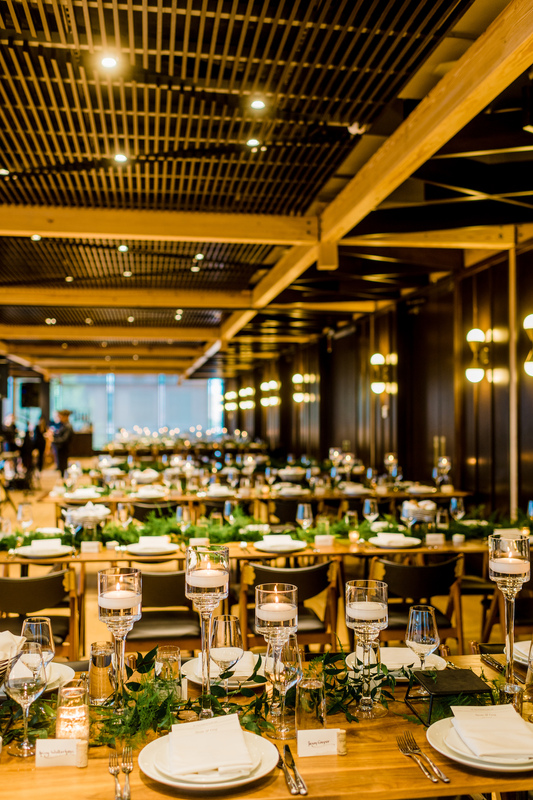 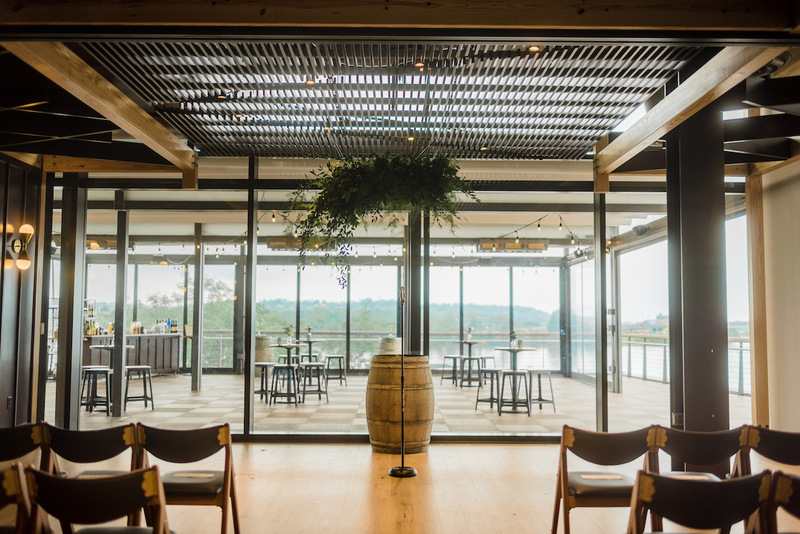 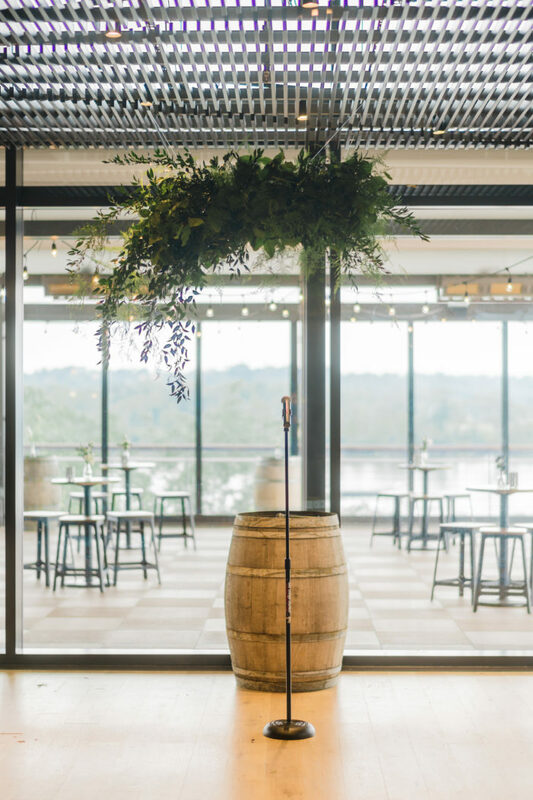 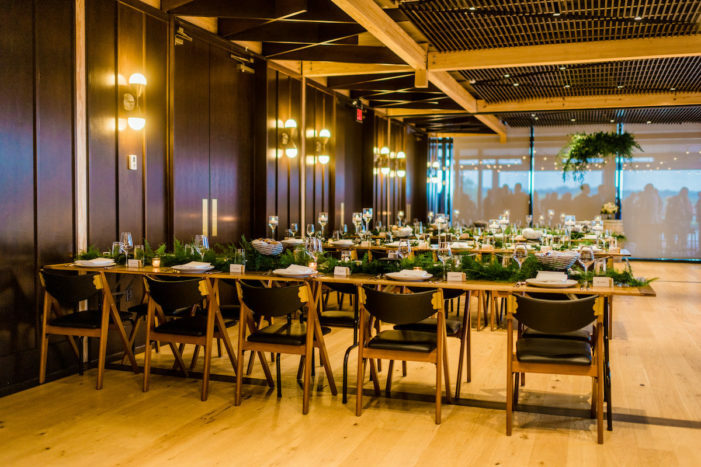 This District Winery wedding shows off one of these amazing new spaces with its waterfront views, sleek modern furniture, and great service. 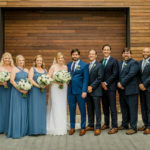 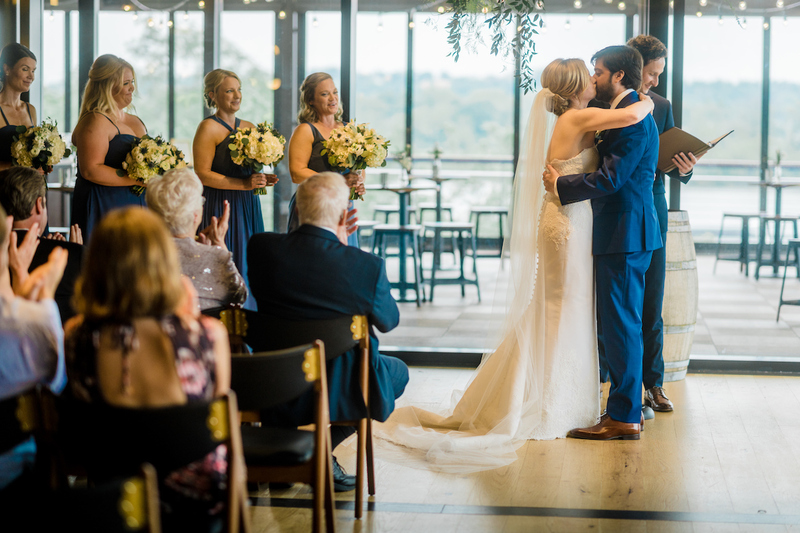 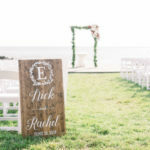 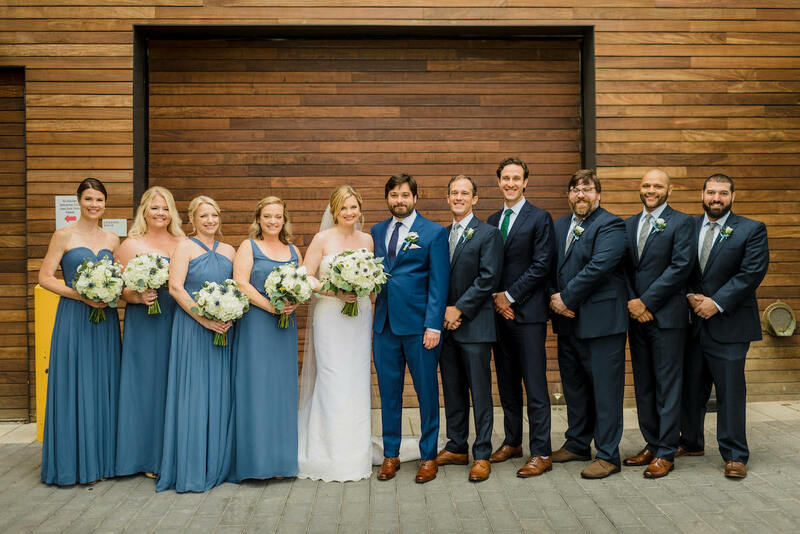 Susan and Greg were married in front of their loved ones backed by a really awesome greenery installation by Bee Inspired Events. 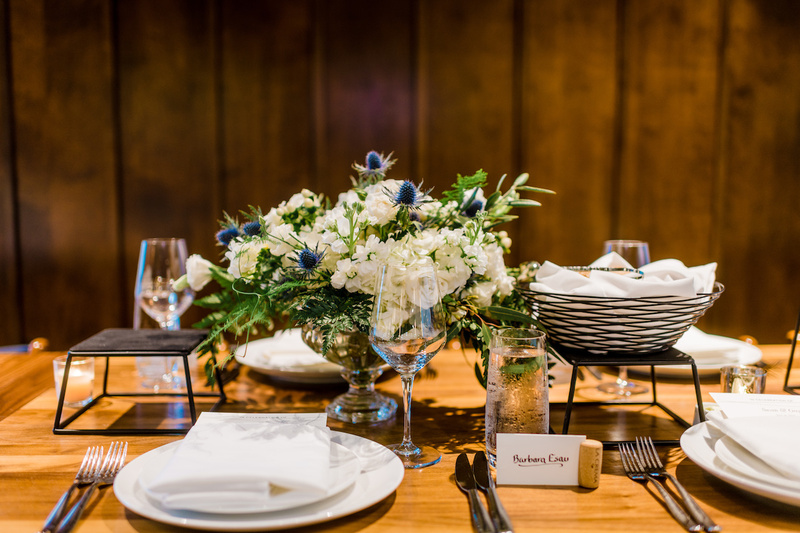 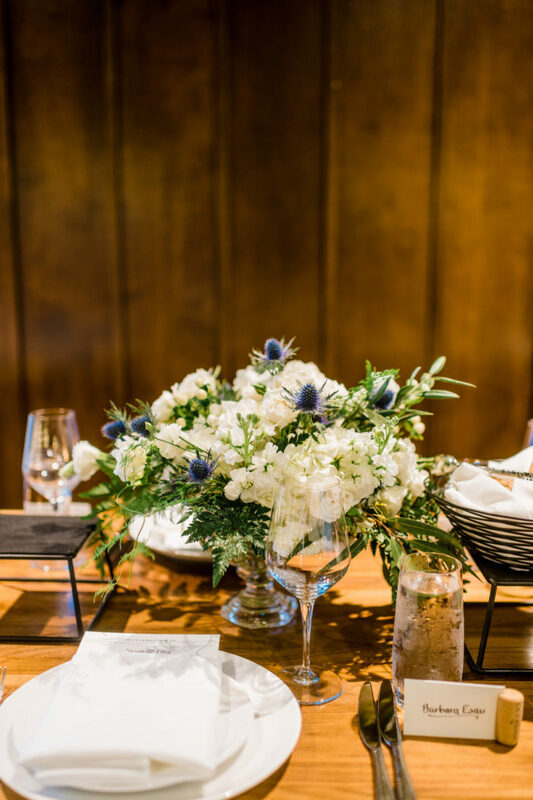 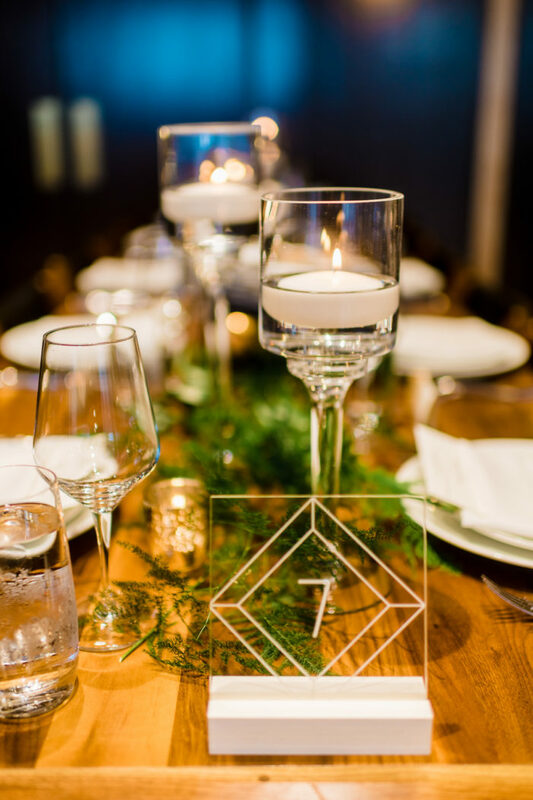 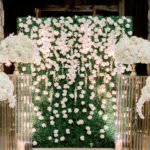 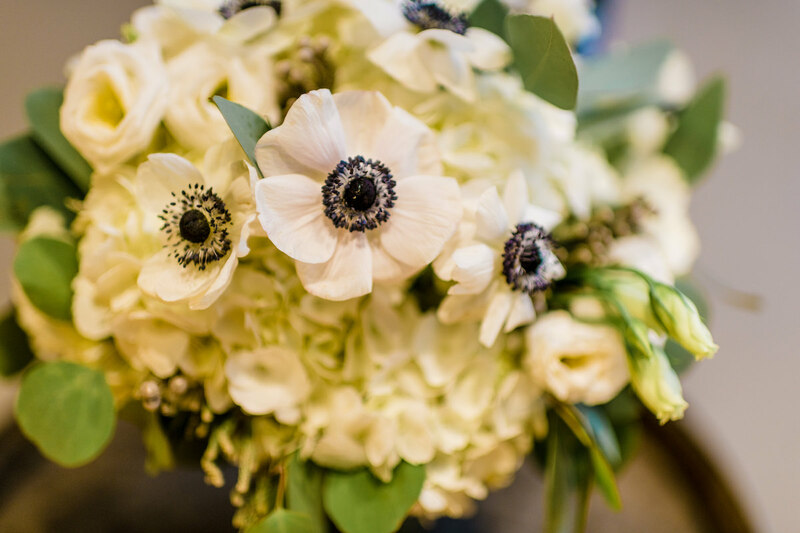 We love the layers of greenery mixed with candle light and pops of white blooms. 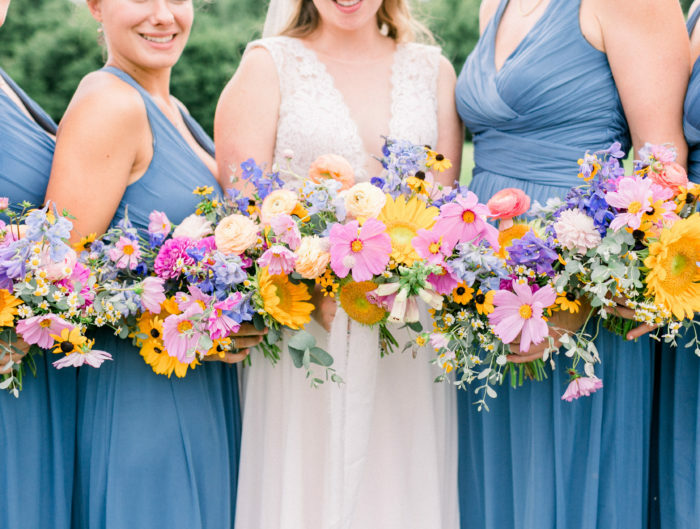 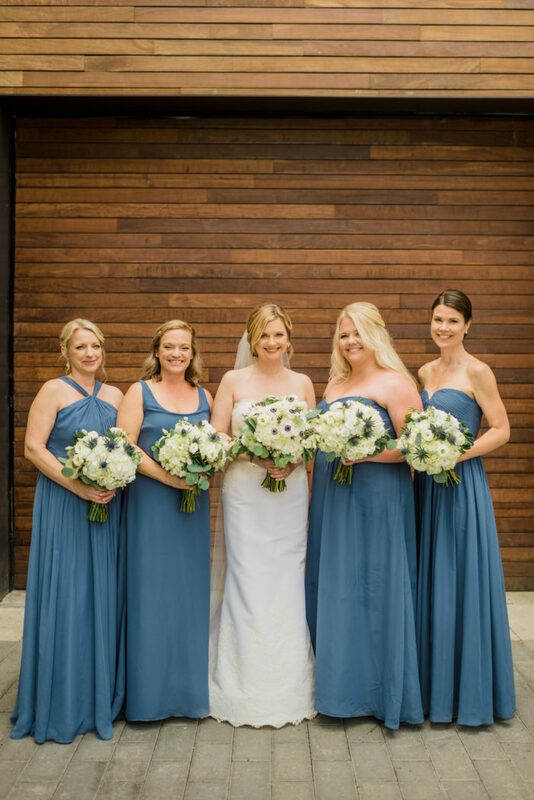 Susan’s bridesmaids dresses were the prettiest shade of blue which complements the groomsmen’s navy suiting. 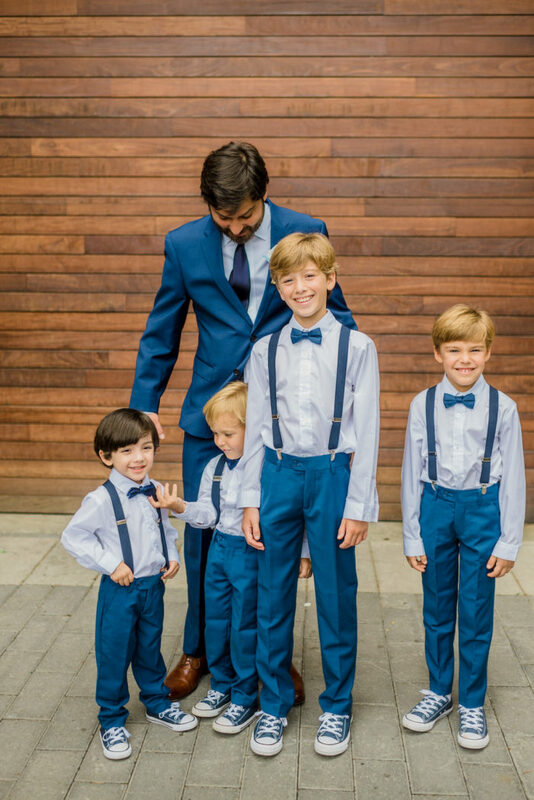 The new trend of non-traditional colored suiting is one we can get behind! 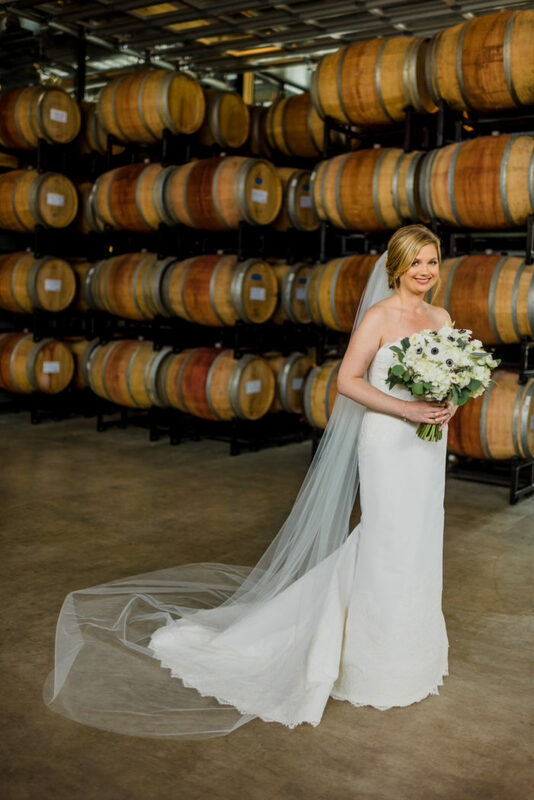 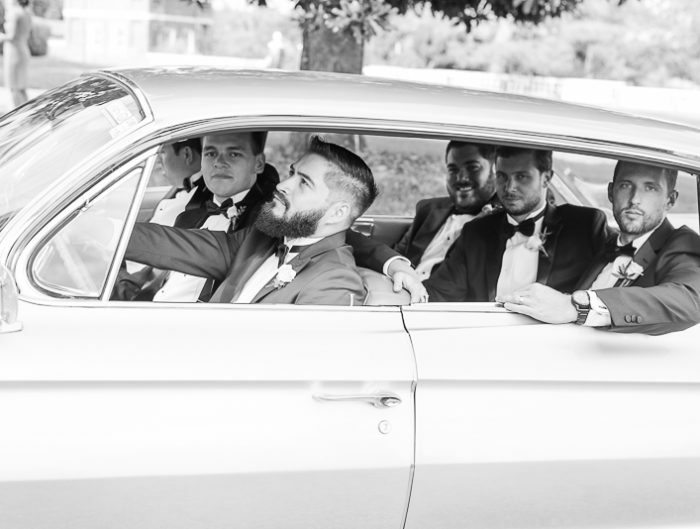 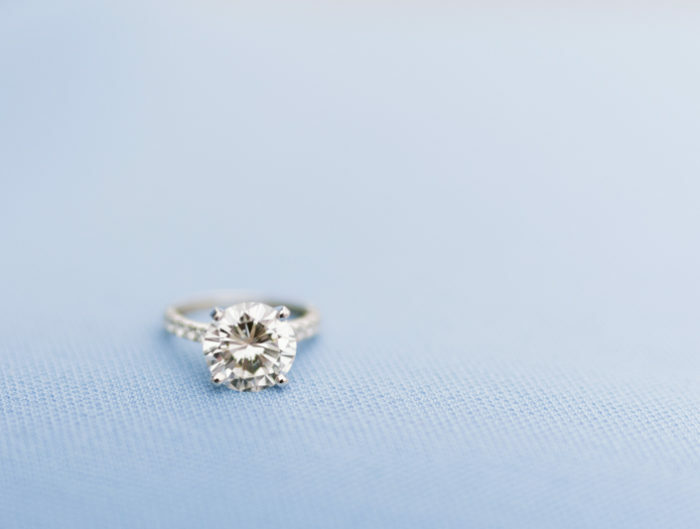 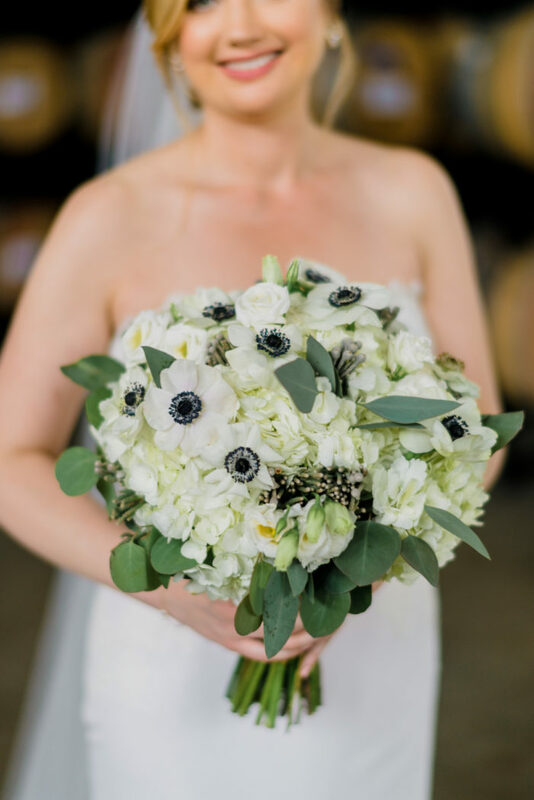 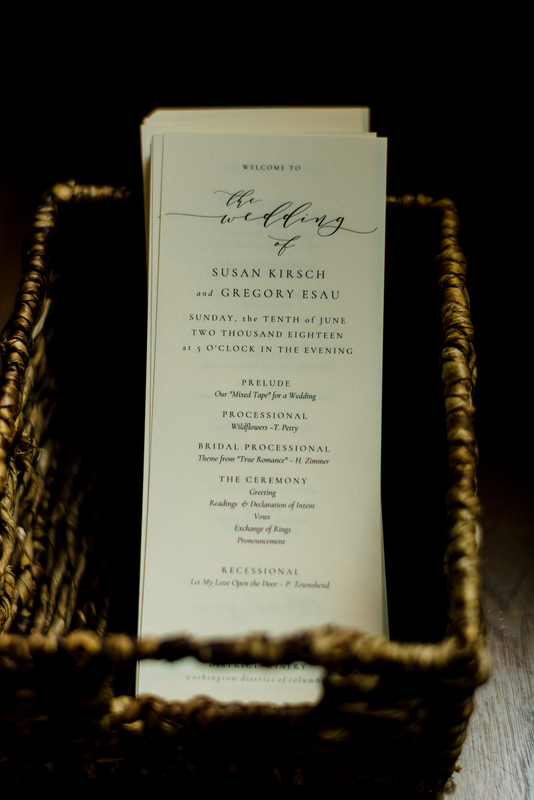 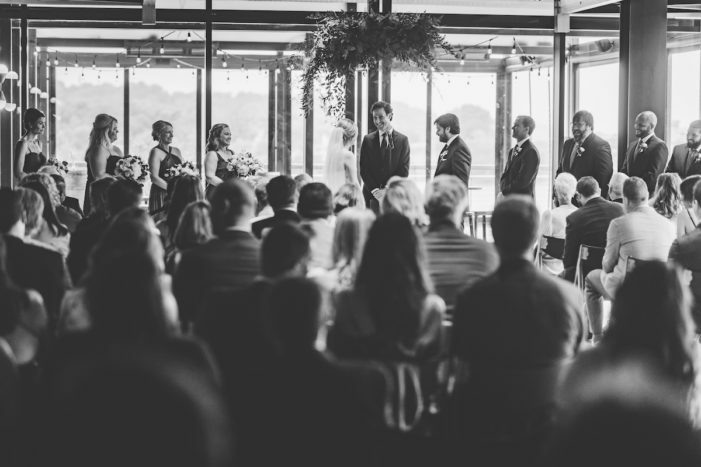 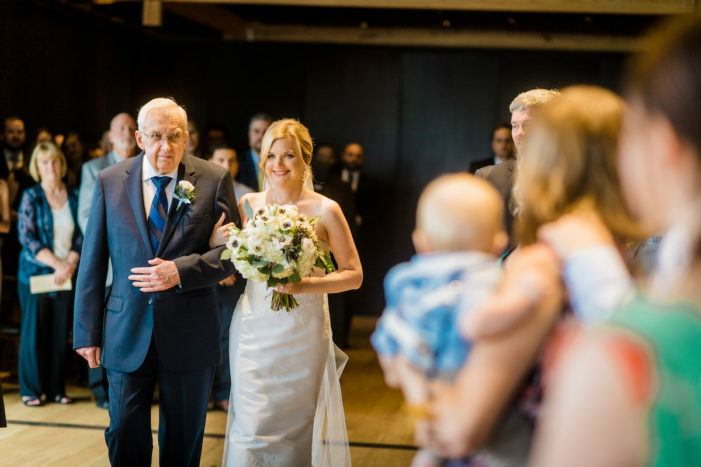 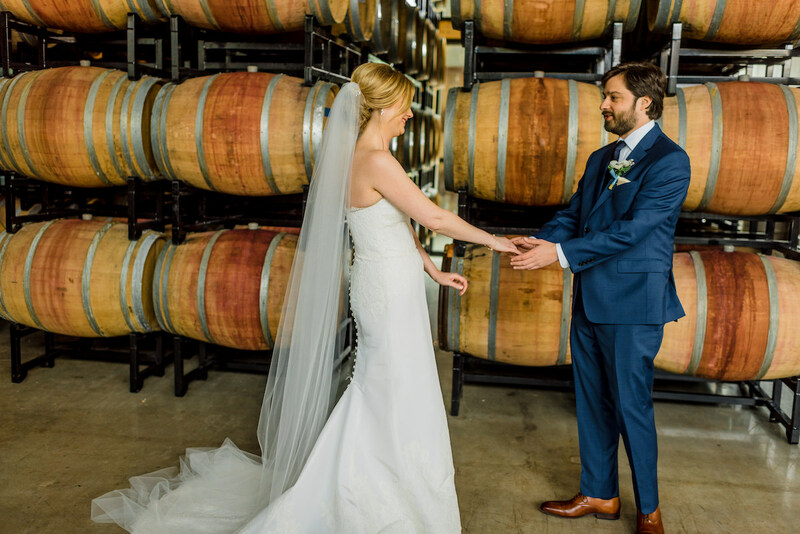 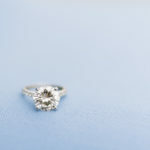 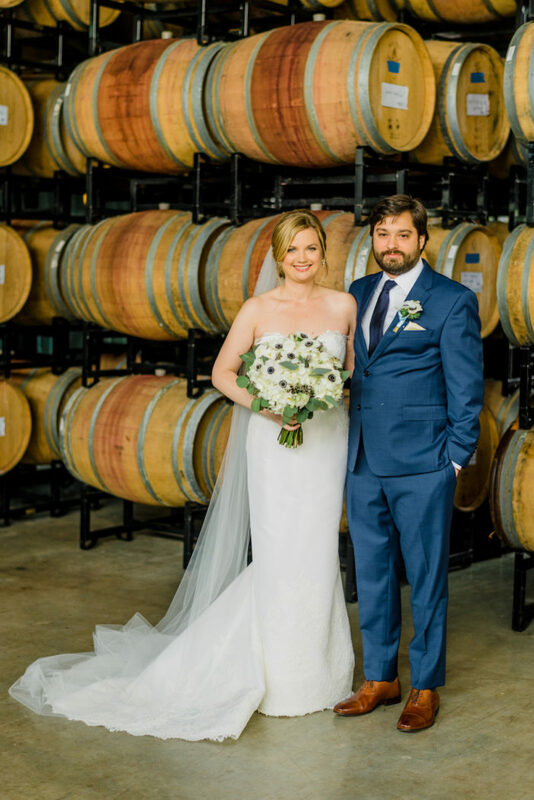 Thank you to Mason Photography for sharing this mod District Winery wedding with us today!